I have been fortunate enough to see some truly spectacular cathedrals in my time, particularly in Europe, and even here in the United Kingdom we are very blessed (pardon the pun) to have some of the most splendid cathedrals anywhere in the world. From a photographer’s perspective cathedrals offer a wealth of opportunities, rife with patterns, lines, features, frames and light; everything an interesting composition could ask for. 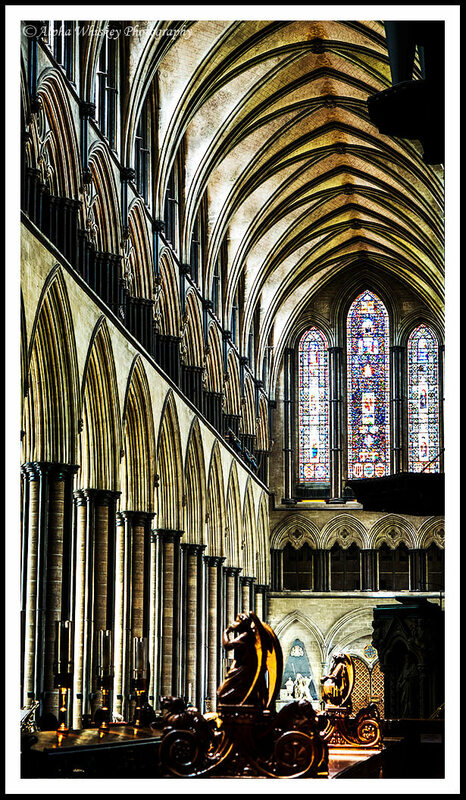 Now before anyone suggests that I am exploiting a religious monument for my own photographic gratification, let me say that every cathedral that I have been allowed to photograph in has been extremely welcoming and perfectly happy for me to imbibe its splendour. And while I have absolutely no religious subscription of any kind, I am lucky to have friends of many different faiths and I have the deepest respect for all of them. They know I would never seek to disrespect their beliefs or faith in any way. 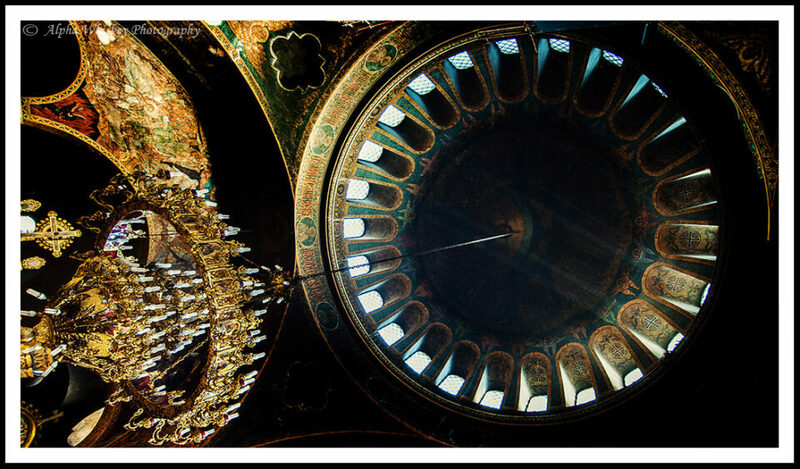 Furthermore, even though I am focusing on cathedrals here, I look forward to capturing the beauty of synagogues, mosques and temples too. Right, back to some photography. 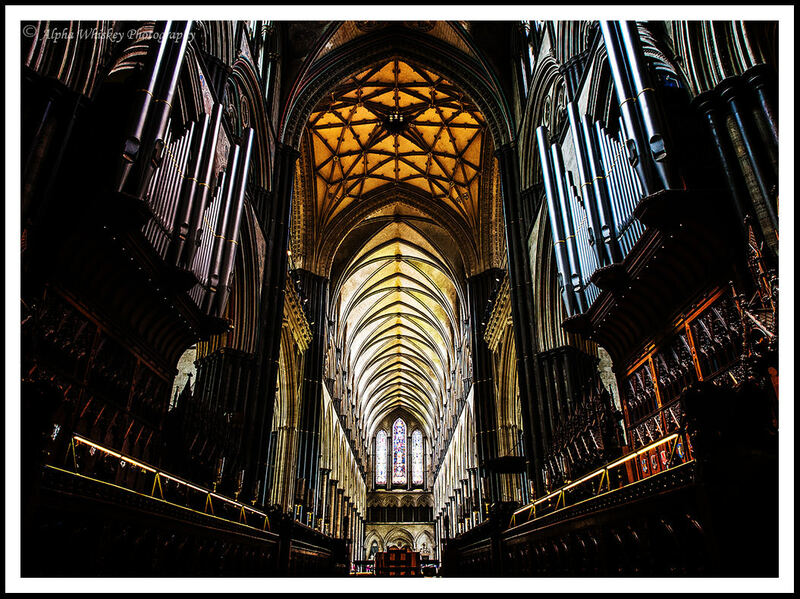 Cathedrals of all architectural styles, from Gothic to Baroque to Renaissance, are replete with grand structures and cavernous interiors, inviting shots from wide angles lenses to capture the space, to macro lenses to appreciate textures and details. Such a variety of shooting opportunities grants me the impulse to use a variety of focal lengths. 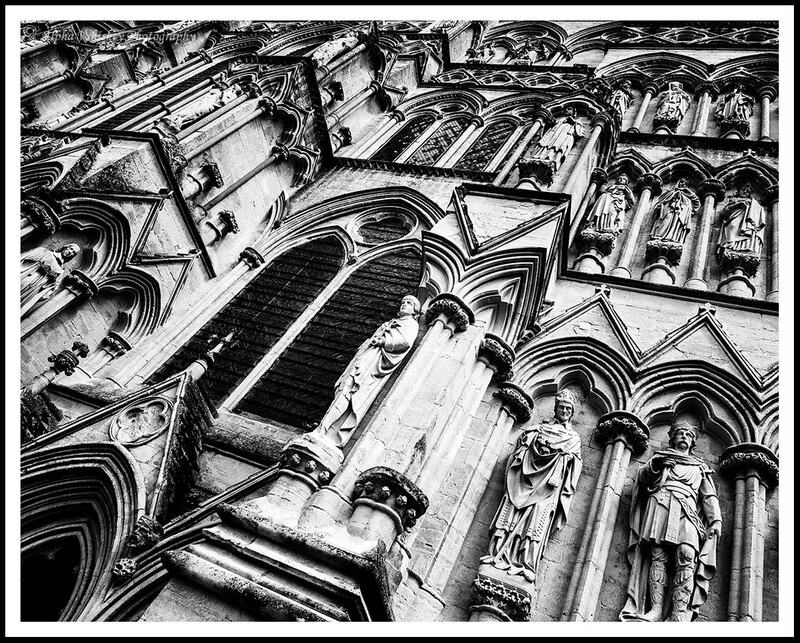 And while I may not have the most original collection of shots, cathedrals have stimulated my creativity and trained my eye in more ways than most subjects that I have attempted. Allow the nave to lead you down its aisle, using the lines of the floor, ceiling and columns to bring you further into the building. The lines themselves can be used alone as a compositional aid, directing the viewer’s eye into the shot. 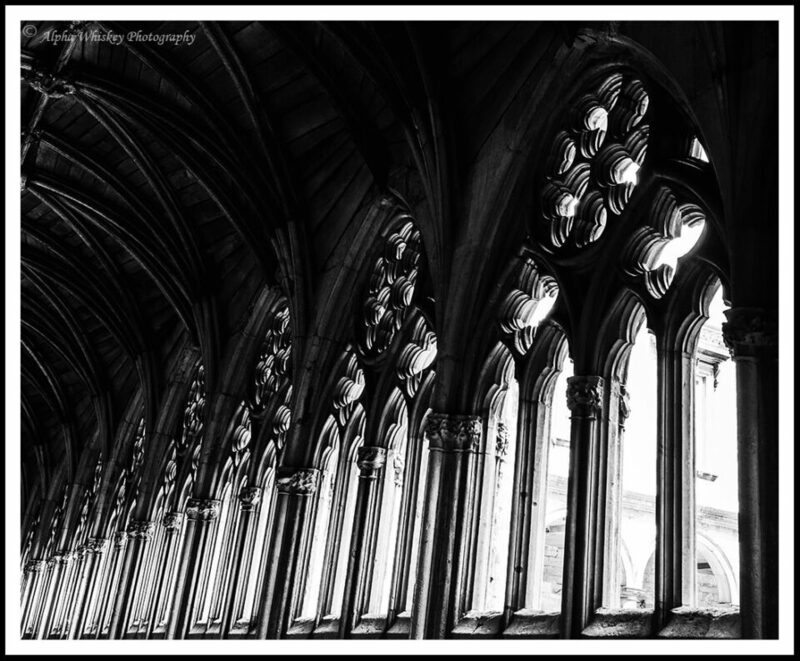 The columns and their arches provide frames (within the frame) through which the eye can also be drawn through, perhaps to focus attention on a stained glass window or an architectural feature. 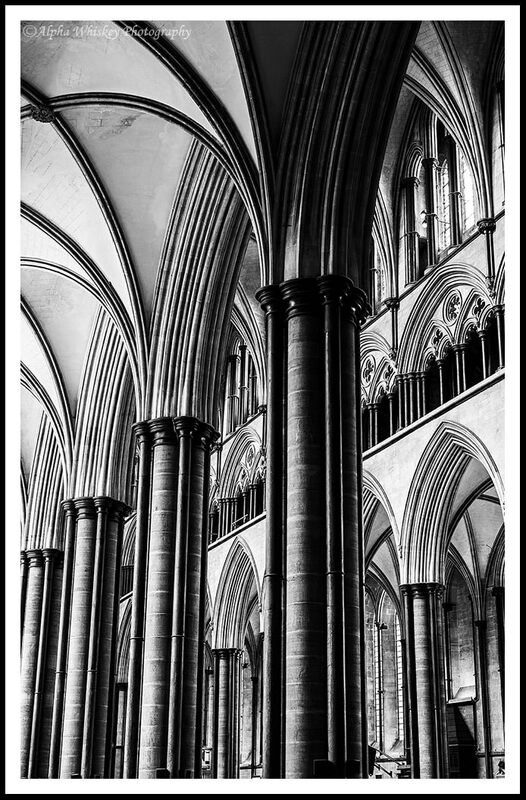 There are so many spaces and shapes within a cathedral that this is a very useful exercise in framing. 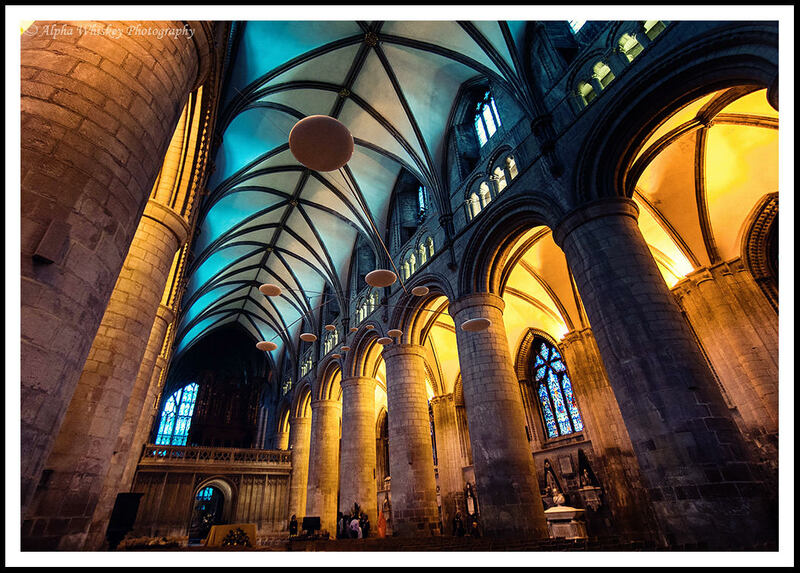 Not only can columns and their arches be used as the edges of a frame, but angles within the ceiling or vestibules, or the edges of the transept areas can all be used to frame the rest of the interiors. Perhaps the multitude of columns and arches and the regularity of their structure can be appreciated in their own right as an abstract; I find by removing the colour one can reveal the geometric patterns more starkly. 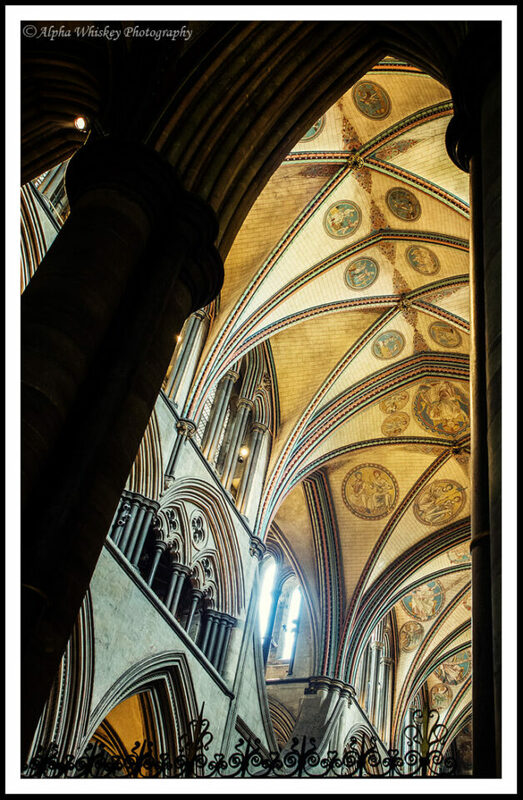 Lighting inside most cathedrals is quite special. Light inhabits small pockets of spaces, adding a glint to the outline of features or statues, or pierces through windows above to beam onto something below. 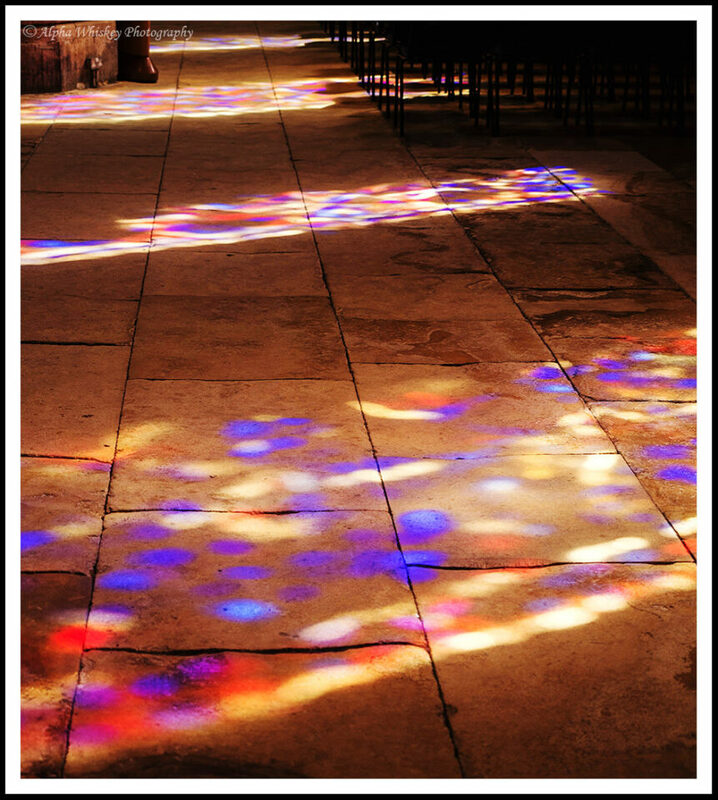 If the direction of sunlight outside is favourable the stained glass windows can shower their colours onto the floor in front of them, breaking up the concrete grey with a beautiful kaleidoscope of hues. Many of the areas in a cathedral have only selective lighting, providing scope for capturing contrast. 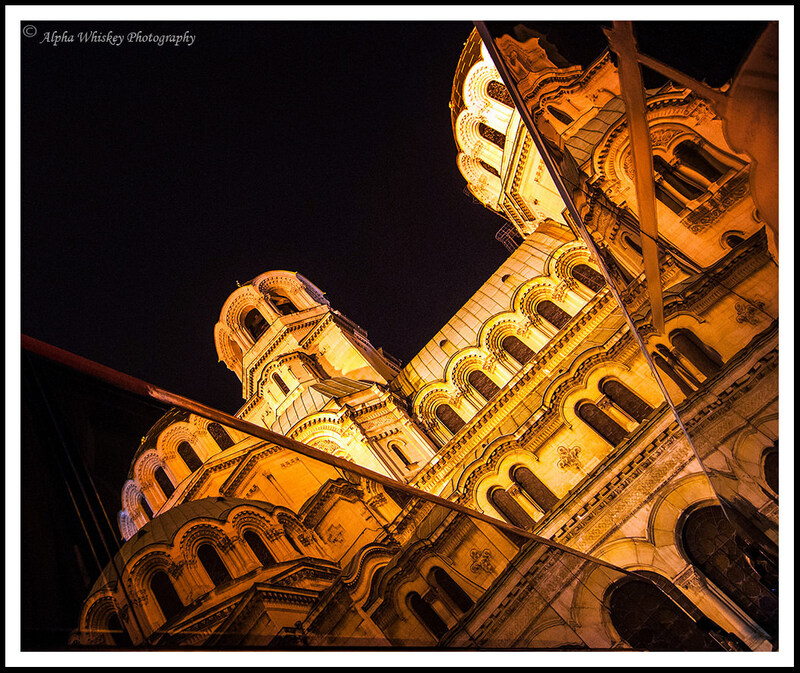 Perhaps spot-metering off the lit area can create an abstract composition using light and shade. 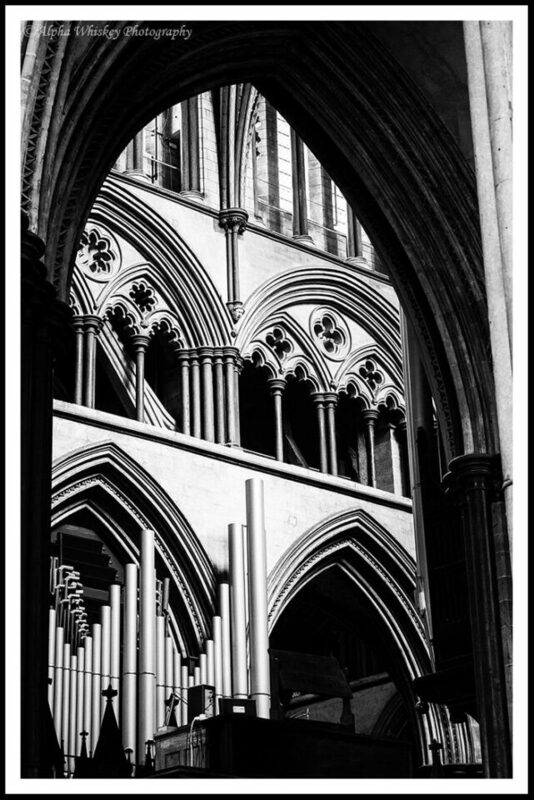 Because most cathedrals have these contrasting spaces, from cavernous naves to compact chapels, it does force one to have a greater spatial awareness, and trains one to think of space itself as a compositional element. 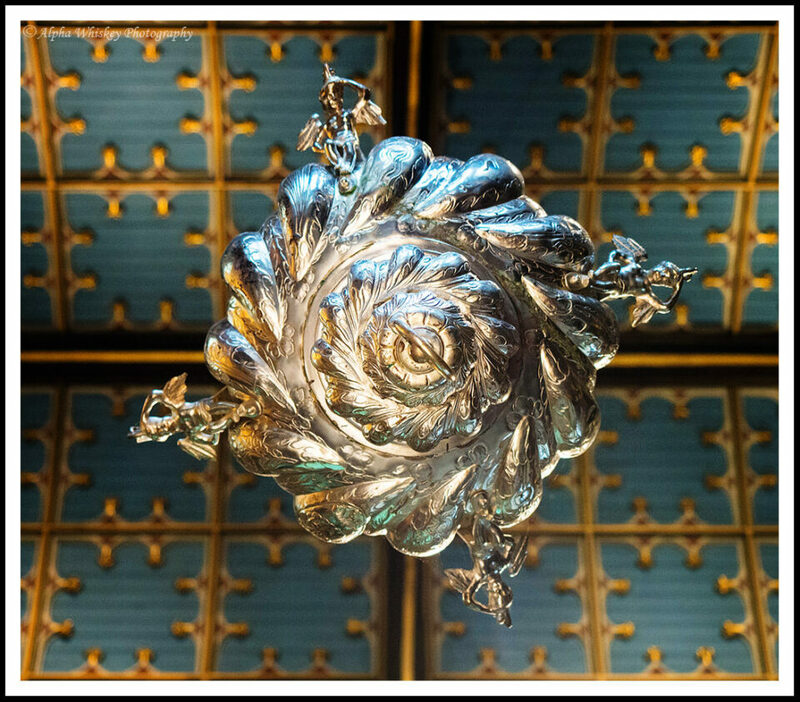 Do not forget to look up at the ceiling. Often you’ll find more patterns and directional lines, or simply some magnificent artwork. 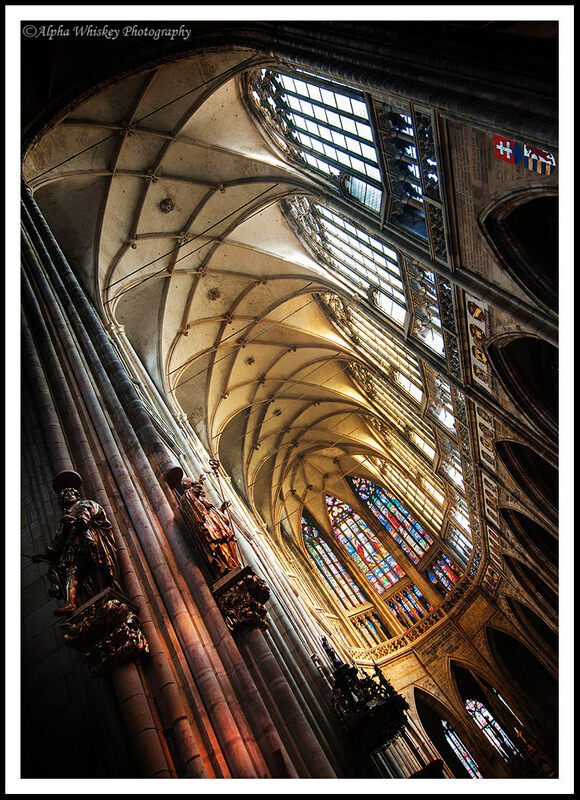 Due to their age (at least in Europe), many cathedrals have a multitude of textures and a variety of features (owing to a mix of architectural styles during their lengthy construction). Many of them have very similar statuettes and figurines, for example, the eagle on the pulpit (representing St John The Evangelist). But these details lend themselves to closer inspection and perhaps a rendition with a macro lens. Additionally, there are often small pools or baubles in which one can find appealing reflections (and not just of oneself!). 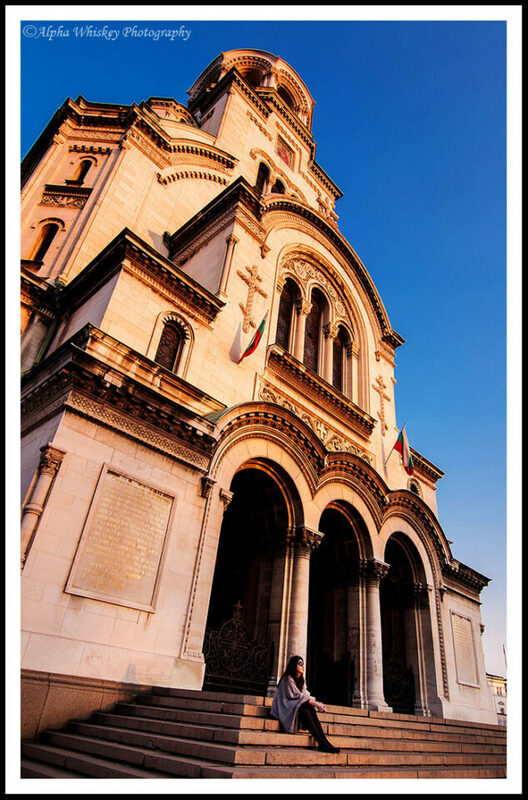 Last but not least, the façade on the outside of the cathedral is worthy of attention. Often a busy and ornate exhibit of carvings, statues and gargoyles, abstract in the sheer amount and variety of the shapes they form and shadows they cast. 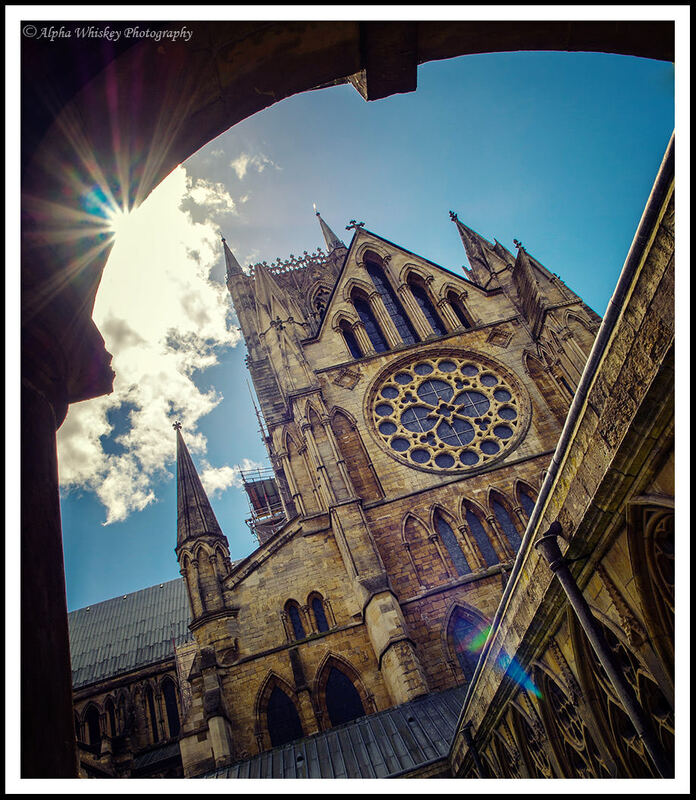 The magnificent structure of the cathedral itself can be captured against a favourable sky, particularly at dusk. There are plenty of articles online describing the technical aspects of shooting inside cathedrals, so I won’t presume to surpass them here. 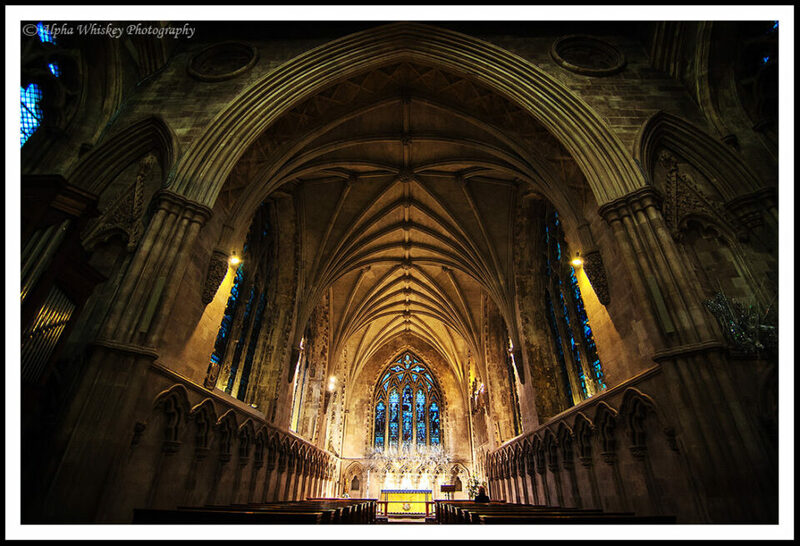 This article is about what cathedrals offer as a photographic subject. Needless to say, flashes and tripods are not really compatible with respectful discretion so higher ISOs may be inevitable for hand-held shooting and narrower apertures (unless you’re doing critical commercial work, most cameras these days cope with ISOs of 1600 or below very well). 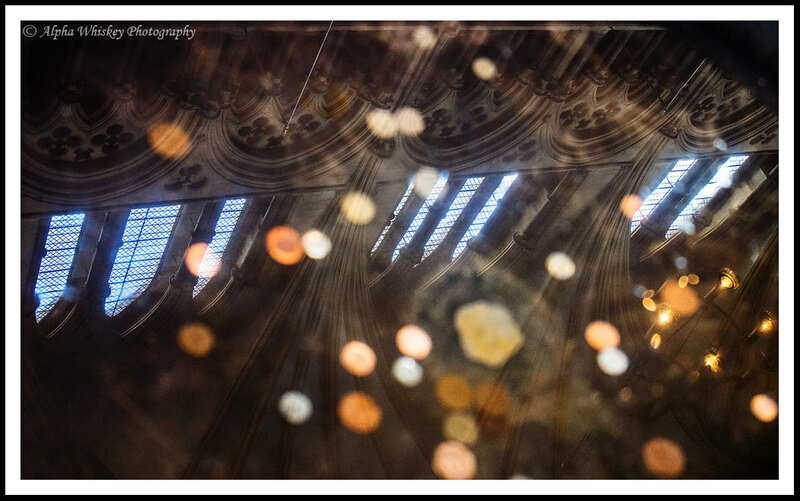 Fast lenses are great indoors but with larger sensors you risk a shallower depth of field wide open (great for individual details but an issue if you’re trying to capture the depth of the cathedral’s interior). Anyway, perhaps you can see that cathedrals, extraordinary in their own beauty and historical significance, offer tremendous scope as a photographic subject. I’m no expert on architecture but I can appreciate the endeavours and ingenuity of past pioneers to erect these incredible buildings that will probably still be standing long after my worthless body has decomposed. And I am grateful, not only for the opportunity to visit them and learn so much human history, but also for training my eye to see so much better, even without my camera. I apologise for so many photos. Hopefully some of them illustrate my suggestions. Why are you apologizing? The pictures are gorgeous and tell the story as well as your words. 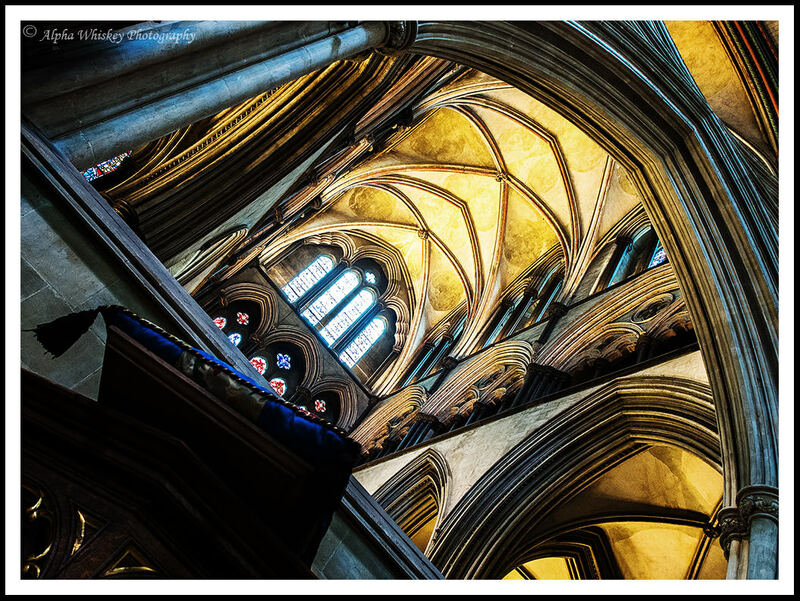 I really like abstracts (evidential of my unusual brain) and have found cathedrals and even small country churches to be wonderful places to look for patterns and colors taken out of context. Nope. Showing those photos was a good way of explaining further what you meant. I think majority of photographers are visual learners so it’s a good thing that you showed a lot of examples. They were awesome btw. Thank you for sharing them. 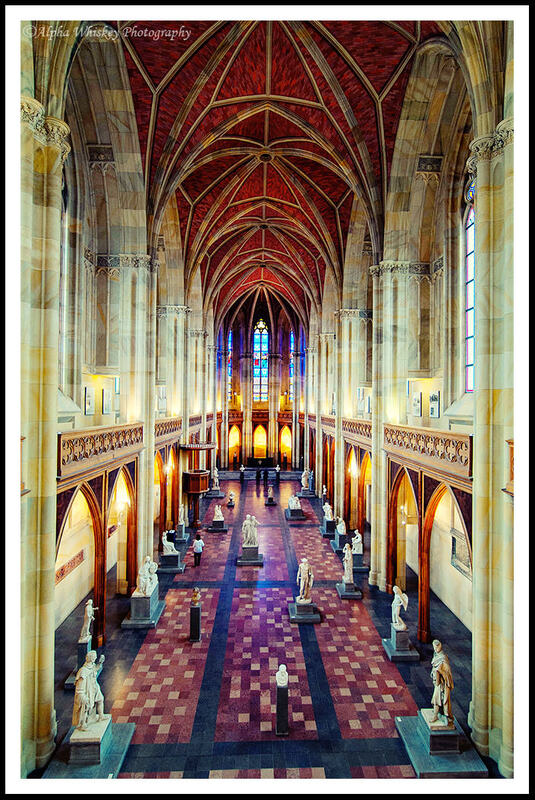 i enjoyed reading this article since i have planned with my meetup group to photograph st john the divine, in nyc, in the next couple of weeks. 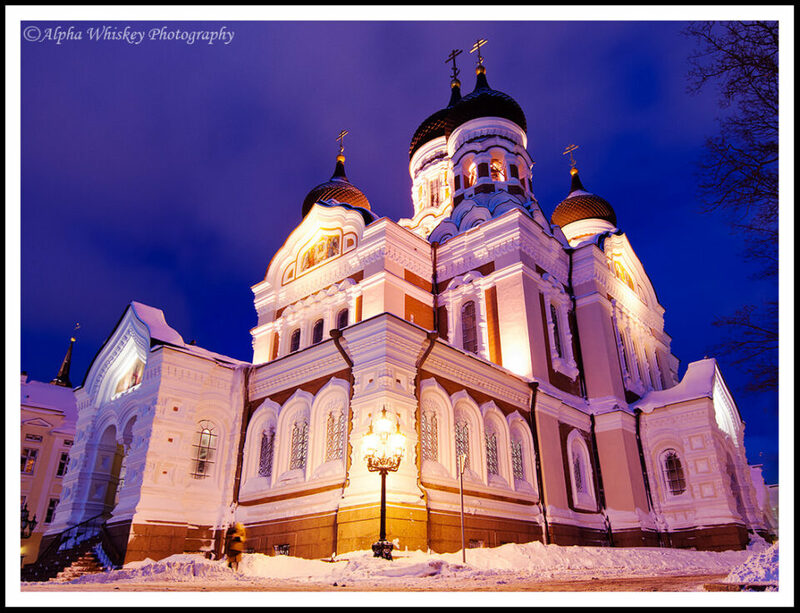 it is the 4th largest christian cathedral in the world. we will have private access, after the cathdral is closed in the early evening. several years ago we did a vertical tour. it is a beautiful cathedral in uptown nyc. Why could I didn’t see this article last week. 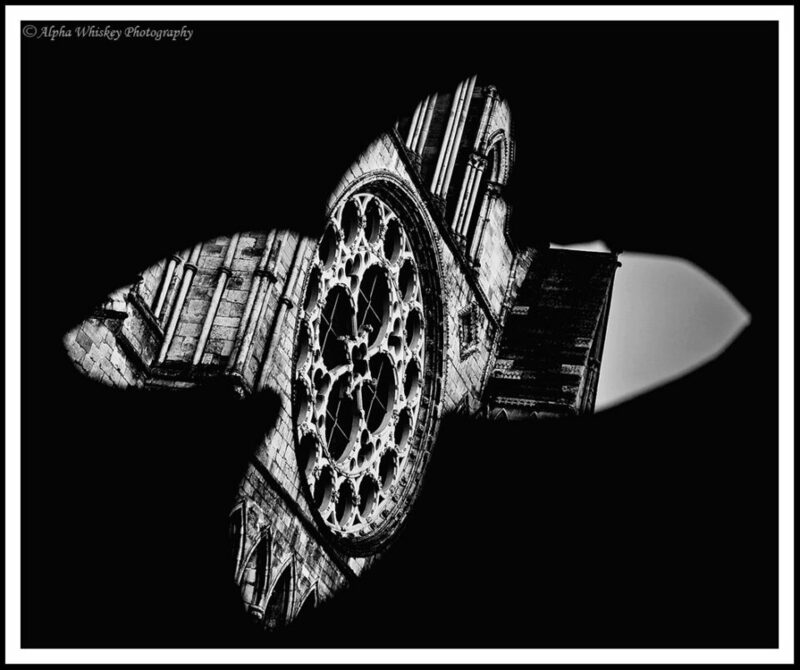 I just had a assignment to shoot at the National Cathedral, which a lot of your information would’ve been helpful. But now I know, I will definitely be visiting again. Some really great photos there, AW. 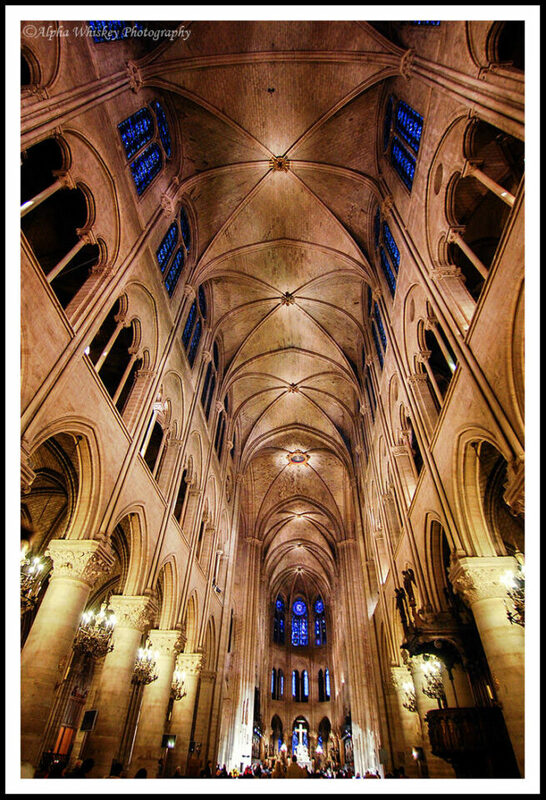 Like yourself, I’m not religious, but I love exploring cathedrals (inside and out). 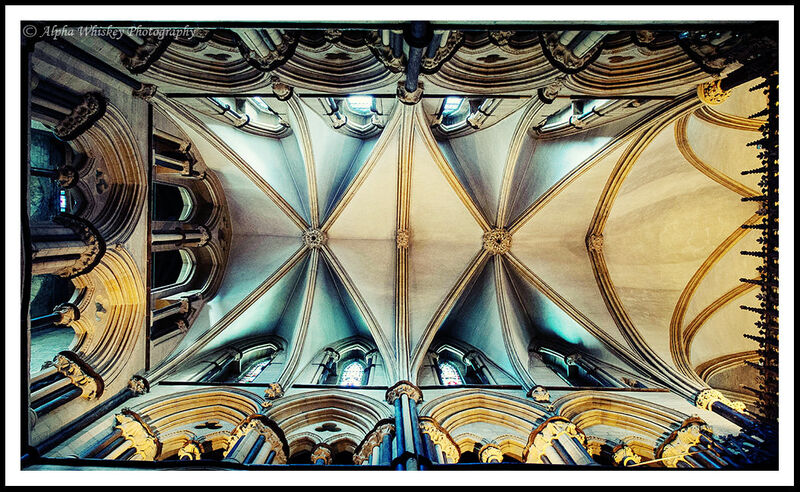 I grew up with a clear view of Lincoln Cathedral from my bedroom window, and it’s still my favourite building… such a vast presence, but with so many varied details and natural light effects. What a well written and illustrated article! It really goes to show you can be in one of these great buildings and never really “see it”. A great lesson in framing Sharif! I think what I’ve seen from this and your earlier articles is that we are always too busy looking at things with our brain’s internal levels, putting all horizontals horizontal etc. Your pictures’ use of angulation to place leading lines that might not have been there, into the corners is very imaginative. 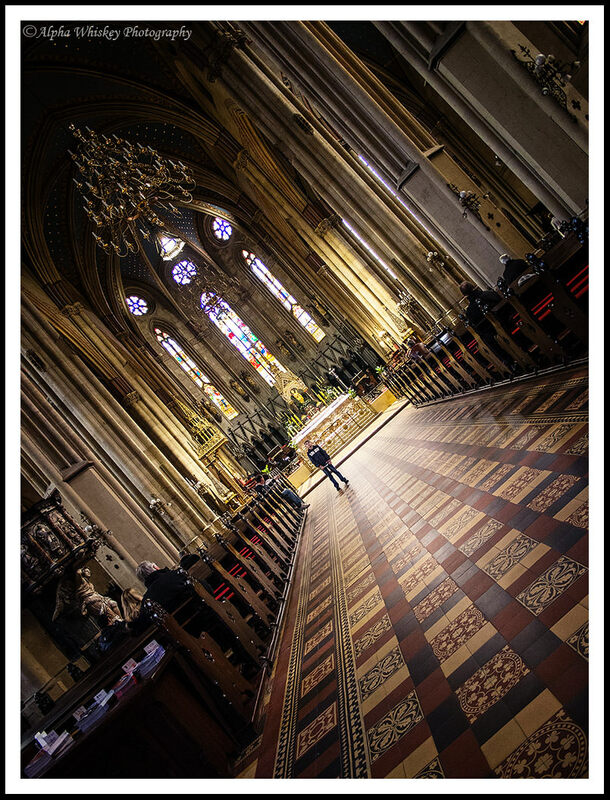 You are creating leading lines just by tilting the camera. It’s definitely made me look at scenes differently. Good collection Alpha. The 1st, 2nd and 4th are truly spectacular and a different composition, if I may. I wonder how did you manage to click the 4th one as it is. Apart from the beauty of clicking the chandelier at that angle, I wonder how do you get the structural circle on the right. Should it not distort into an ellipse or something non-uniform? Please provide the camera brands, models, and focal lengths used. That was an excellent experience, especially the shots where it appears you were shooting lying on the floor. Hi Tony, thank you very much. I used a variety of cameras and lenses, about half of the ones here with my Olympus EM-5 and 12-40mm F/2.8. Focal lengths across all images range from 16mm (FX -top image) to 60mm (m4/3: equiv 120mm). The article has over 30 images, so I probably won’t list all the different cameras and lenses here, and in any case it was intended to stimulate imagination for compositions, rather than be a technical piece about camera gear. Hopefully readers will think about seeing differently whatever camera they are using. Very nice article with some amazing images, I love the angles that you have taken some of the images makes them more interesting. Would love to know what your setup was iso etc, and I guess that most shots were handheld and not using a tripod.. Yes, all the shots were hand-held. ISOs range from 200 to 1600, a variety of focal lengths from 16mm (FX) to 60mm (m4/3: 120mm equiv). Apertures range from F/2.8 to F/14 (a narrow aperture brings out the sunstars better (as in shot 11)). DOF is greater with the smaller m4/3 sensors at any given focal length anyway, but for deep interior shots I probably used between F/4 and F/5.6 on my EM-5 to strike a balance between DOF and ISO. Beautiful photos but lack of any technical details (until people started asking in the comments) really bites. When I was first starting out and wanted to start shooting images like the ones I saw the pros taking the first step was to find out the technical aspects. This included Film (we are talking pre digi) and lenses used, F stops and details of the exposures. This doesn’t negate the absolute essentials of knowing what you are going to go and shoot and how, but sure sent me down the right path. If you are using lightroom there are plugins which will render your camera details, lens used, exposure settings etc on the photos when you export. This information alone would have been tremendous. Adding in how you enhance the images would also have helped. Inspired by the photos yes. Two thumbs up. I’m the same as you Beta, in that I do like to know settings for some really great shots that I see. It has helped me over the years, more so for close work than scenery. However, knowing how Sharif likes to emphasise the idea that gear isn’t the issue and these shots are all about framing, I think the lack of info is a good idea. It actually makes you concentrate on the positioning and the lines as opposed to the settings and the camera/lens. I wouldn’t be surprised if some of the brighter shots could have been taken on a good smartphone, but the aim of the article is not about that. Well said, Daniel, and entirely correct. 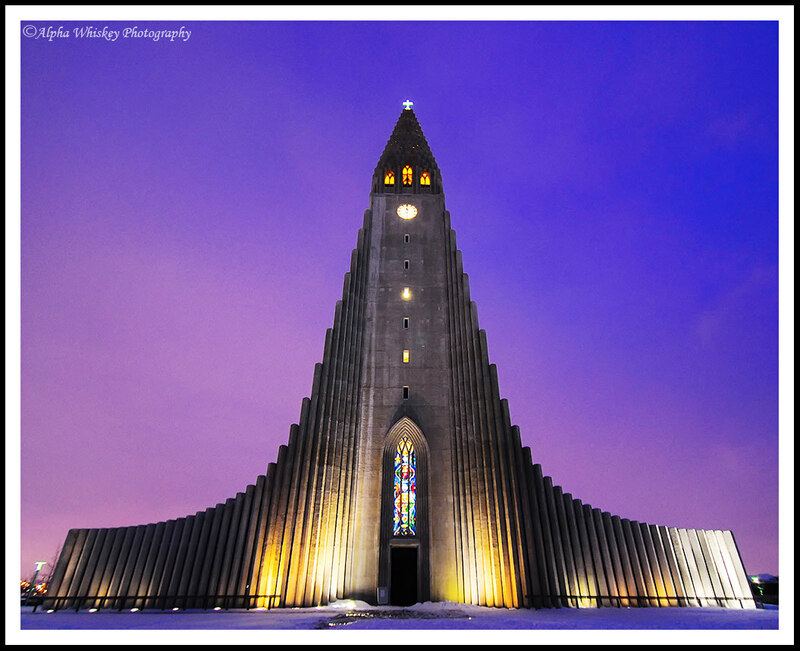 I think you are wrong with the spectacular photo number 21 “Marble Church” of Copenhaguen. So, I wonder where did you shot this amazing pic. 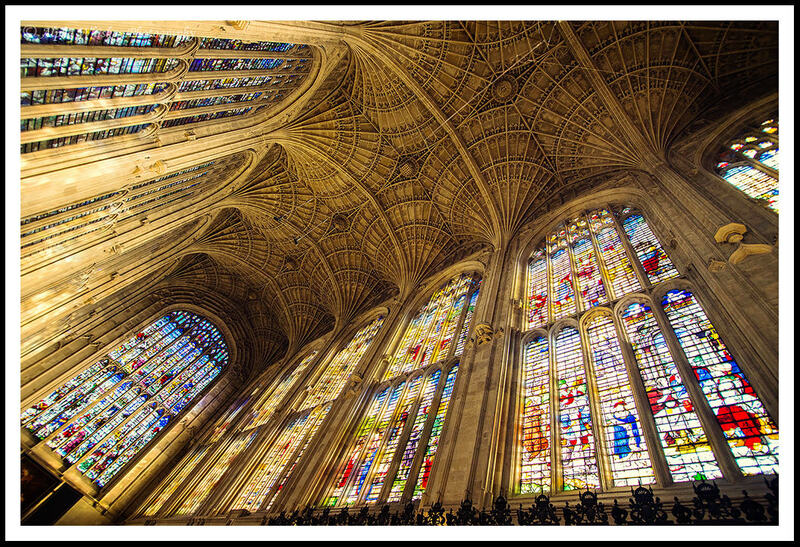 Hi Alpha, the widest lens I own is 35mm on full frame, is it sufficient for Catheral shots? 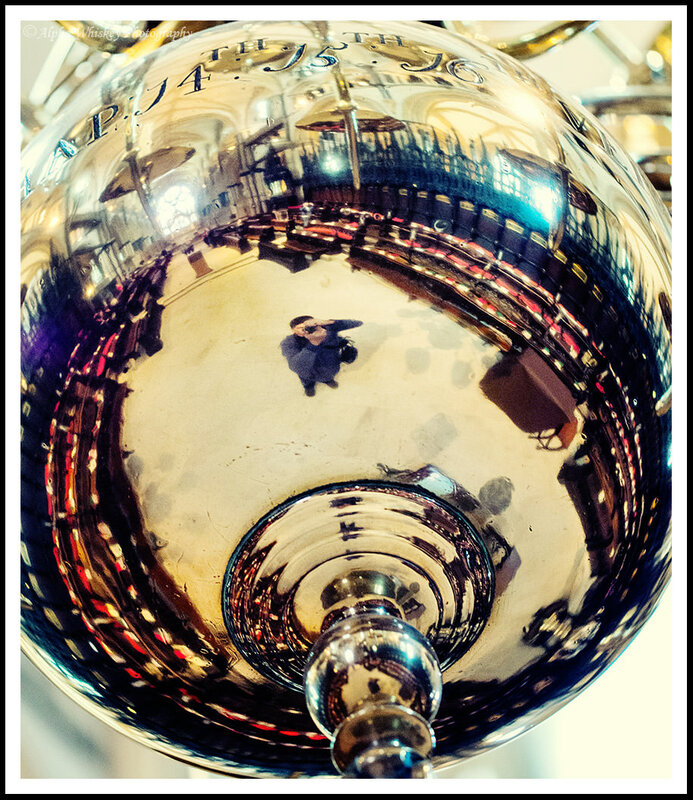 Any lens is sufficient for photographing cathedrals. It all depends on how you want to see them. 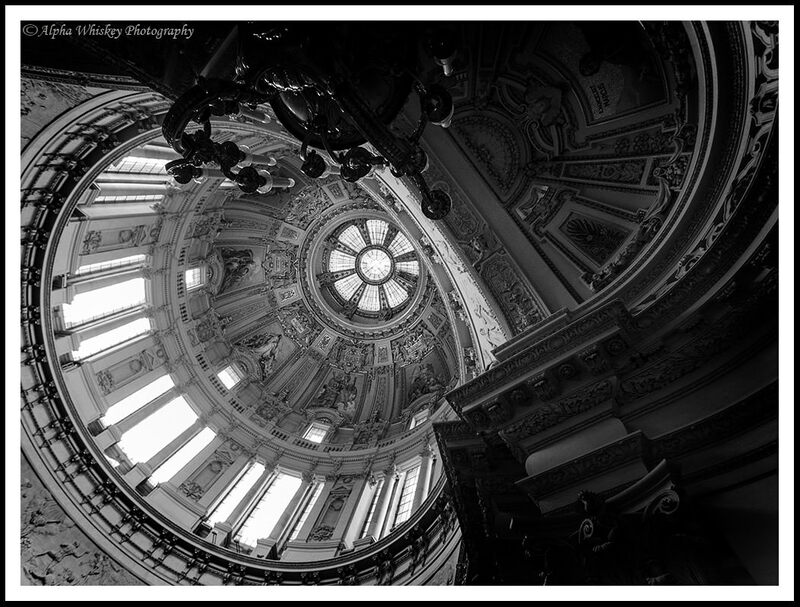 If you want to capture the scale of the interior, then a wider lens might be better (14mm to 24mm). If you want tighter frames, then 35mm or 50mm will suffice; details might call for a fast lens with a wide aperture, or a longer focal length to give you better subject isolation. 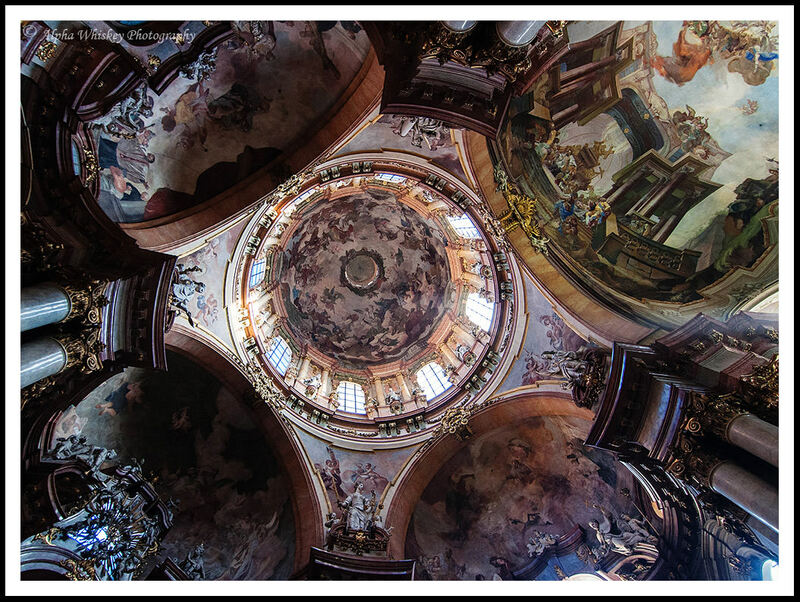 This is a very interesting article with quite spectacular photographs to support your point of view, your perspective. As earlier posts have mentioned, it would add a bit more if you suggested focal length ranges, however, that’s up to the writer of the article (that’s you). 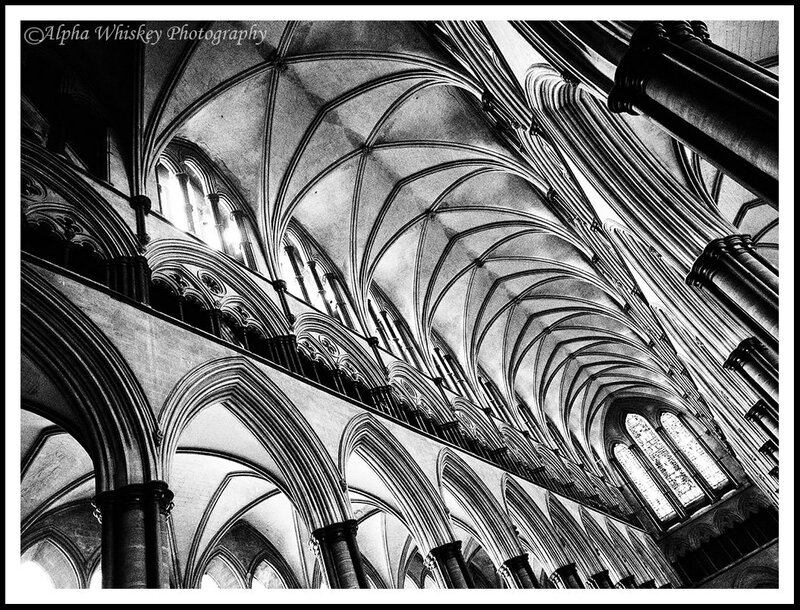 As you perfectly mentioned in the article, cathedrals are like caves, some are really dark, some have openings for that magical glimpse of light, however, I would like to ask your take or opinion on using auto ISO, in order to let the camera figure out one of the components of the exposure, leaving you the aperture (which would be the most important thing in this type of photography)? 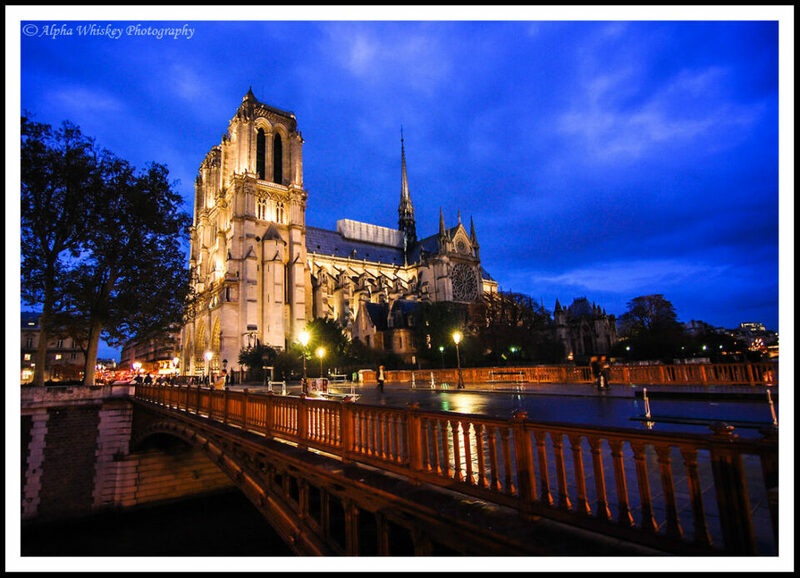 And another question is, what is your opinion when you visit a cathedral and see the no “cameras allowed” sign (ie Sacre Couer) and suddenly you see disrespectful people taking photos? And one last comment, although I inspire myself in observing work like yours and try to figure out the perspective used, the composition and even time of day, some photographs that tend to be technically tricky, it would be of great use if you would share exif data (like ISO, focal length, EV compensation, shutter speed). Notice that I’m staying away at all costs of what gear used, since I’m not a believer that gear makes a photographer. I think auto ISO is a good idea, and on most cameras is quite effective (although some have a tendency to pick the maximum ISO too easily). I tend to shoot in aperture priority, adjusting only as I see fit. I set the maximum ISO for auto ISO to 1600, so all exposures will be there or below depending on the light, and the camera will determine the shutter speed. If I set the ISO low myself, the EM-5’s image stabiliser is good enough to allow me to shoot at the resultant slow shutter speed hand-held without any problems. If I see that no cameras allowed, then I always respect that instruction, and I am very disappointed to see people ignoring or disobeying it. (There must be a good reason why photos are not allowed, either to prevent the use of flash which can be damaging to old surfaces or artwork, or because there is a privately sponsored art collection, or simply for privacy reasons.) Even in St Paul’s Cathedral here in London you sometimes see people disobeying that instruction, although now they have rather unpleasant thugs in suits hassling people to put their cameras away. Bit of shame to see that in a cathedral, which is ultimately a building of peace and worship. But I believe one must respect the wishes of a place that is gracious enough to open its doors to visitors. As I have indicated in the article and on other comments, this was never intended to be a technical piece, as there are plenty of those already out there, but merely suggestions about what to photograph. I understand that it can be helpful but I would prefer to use my time to make those suggestions rather than list EXIF data for 30-odd photos. But if you would like EXIF data of any particular images let me know and I will endeavour to get you that information. The technical aspects of these photos are rather complex and always a combination of capture parameters combined with processing parameters, which all are largely hardware and software specific. Requesting a complete listing of these parameter is unreasonable IMHO and instead I wish to express my thanks for sharing the results and the narrative that came along. Very nice pictures indeed. Having a facination with the subject matter myself, I only wish to emphasize, that we are usually faced with extreme contrasts, so having the highest possible dynamic range sensor is preferred. Always shoot raw and bracket your exposure: only at the computer you finally find out which exposure gave you best balance between shadow noise and burned highlights. The parameters and techniques used are very much a personal choice and I encourage everyone to experiment with the eqipment you have. Great images and article! I will try and keep this in mind when near buildings of this type of grandeur. You thought on those tilted photos (3,7…), what do you see in this angle? or is it just that you can capture more in the photos? When I visit cathedrals, there are always tons of visitors. I don’t any of them in your photos, did you get a special access time for all your shots? I tilt the angles sometime to emphasise the line and geometry in the image. Tilting, I feel, disconnects the viewer from the subject and emphasises the geometry and lines in a more abstract way. Trust me there loooaaads of people in the cathedrals when I was there! I just waited patiently until they weren’t in the shot before taking it. Absolutely wonderful images! I hope a little of your refined perspective will rub off! 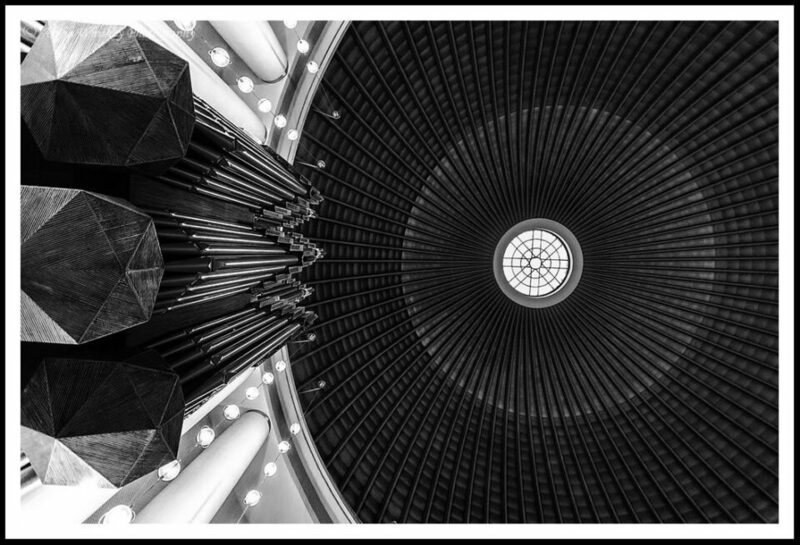 I am newly venturing into the digital domain and have cathedrals in my sight. With regard to your apology, I believe you have achieved in your images just what the original minds and workers sought: namely, the wonder and beauty of God. I will even go one step further. Your quest to capture and convey so intelligently the inexplicable, reflects a mind made in His image and likeness. Your countryman, Mr. C. S. Lewis, begins beautifully from reason to unveil the reasonableness of faith. You may enjoy considering his argument for objective values in “The Abolition of Man”, or his compelling consideration for the merits of Christian belief in “Mere Christianity”. Chesteron’s “Orthodoxy” would be equally inspiring. I hope to enjoy more of your work soon. Man, awesome photos. I love every articles of yours and have learned so much. Thank you for sharing your knowledge. I will be making my first trip to Barcelona in mid-May and I found your site particularly inspiring. While I appreciate your focus on seeing rather than worrying about mechanics, you do allude to other sites that provide technical advice. Are there any that you might suggest to someone that has good experience with film but hasn’t done much travelling.